I met Valerie Brennan and Bridget Fahy through Facebook! We quickly formed a friendship and artistic connection because I have lived in Cyprus and return regularly, and they live there. 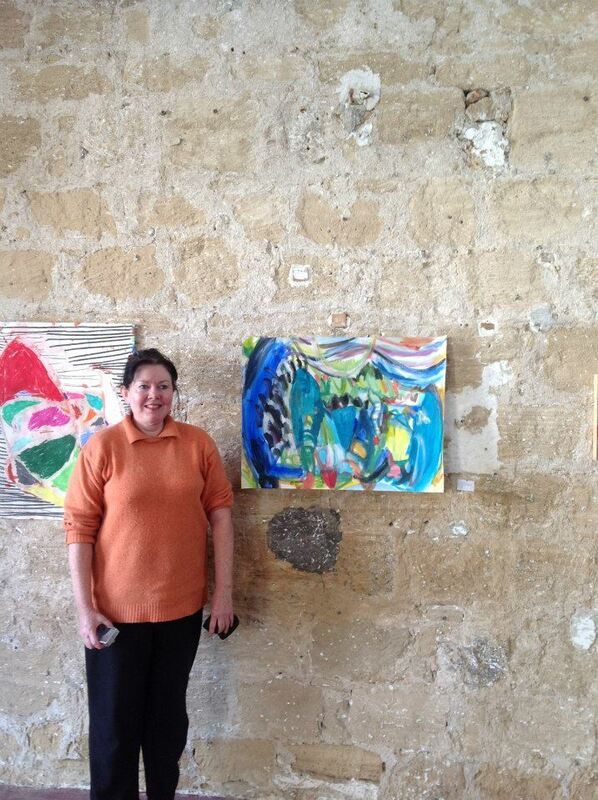 We have been influenced by the colours and terrain of Cyprus in different ways and on January 25th 2015 we opened an exhibition at Apothiki Studio, in Paphos, to show our paintings and our connections artistically. This exhibition was covered in several press releases, which I will include links to in my links section. Responses to the paintings all agreed that while we have our own vision and language, a connection could be seen between our paintings.